The Scottish American Society of South Florida, Inc. [SASSF] is a non-profit organization dedicated to the furtherance of Scottish culture through Scottish dance, music and art. 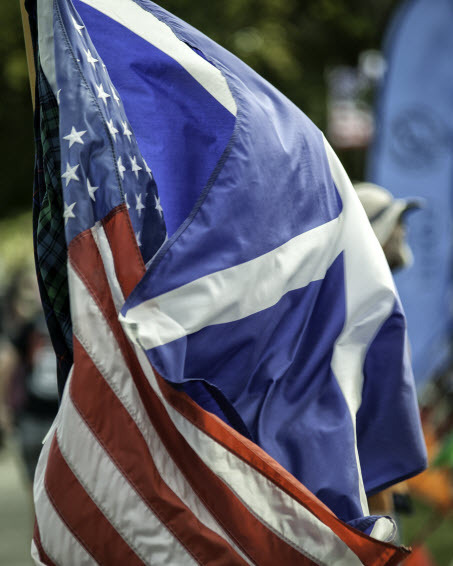 Run entirely by a team of volunteers, our signature event is the Southeast Florida Scottish Festival and Games held on the 1st Saturday in March at Plantation Heritage Park. A portion of the funds raised by the Festival and other SASSF events are used to award scholarships for instruction in Scottish music, language, Highland Dancing, as well as academic pursuits. SASSF Board Meetings are held monthly at the Plantation Presbyterian Church, 901 NW 70th Av, Plantation, FL. Members, as well as guests, are encouraged to attend and become involved in planning for the 2018 Festival & Games. The monthly meeting schedule is posted on the website, the Society's Facebook page, and distributed via our email list. The Annual General Meeting occurs in May, during which the Board members are elected for the coming year. Next Meeting: July 15, 2018 5:00 pm - Anyone is welcome to attend who would is interested in helping with our events and/or has suggestions for how we can improve for the future. The Society is a 100% volunteer effort with no paid staff or paid fundraisers. Membership is open to all that have a desire to further the traditions, history, and culture of Scotland. Robert Burns' Supper: held every January in honor of Scotland’s great poet who gave us Auld Lang Syne among other poems and melodies. Monthly "Dine-to-Donate" dinners: held in restaurants in the tri-county area, typically on the 3rd or 4th Wednesday of the month. These provide an opportunity for members and friends to share a good meal, enjoy the musical talents of our members pipers & drummers, and help raise money to support the Festival, as the participating restaurants donate a portion of each check to SASSF. Ceilidhs: Scottish informal dance party-potluck, typically held in the Fall around Halloween or St. Andrew's Day. Piping, fiddling, singing, dancing, are on the menu with chances to win fabulous raffle prizes just in time for the holidays. Golf Scrambles, Battle of the [Pipe] Bands, and more...! All of these events are open to the public and are well attended, so join up and join in!